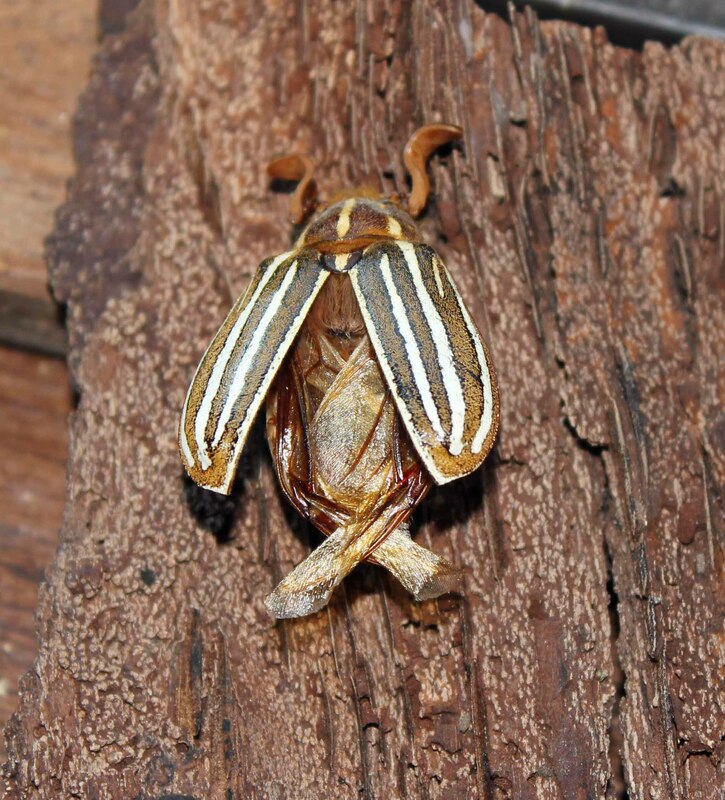 Pictured above is our Ten Lined June Beetle, named for the obvious markings on its elytra wing coverings. Pull those back and the wings underneath are revealed. 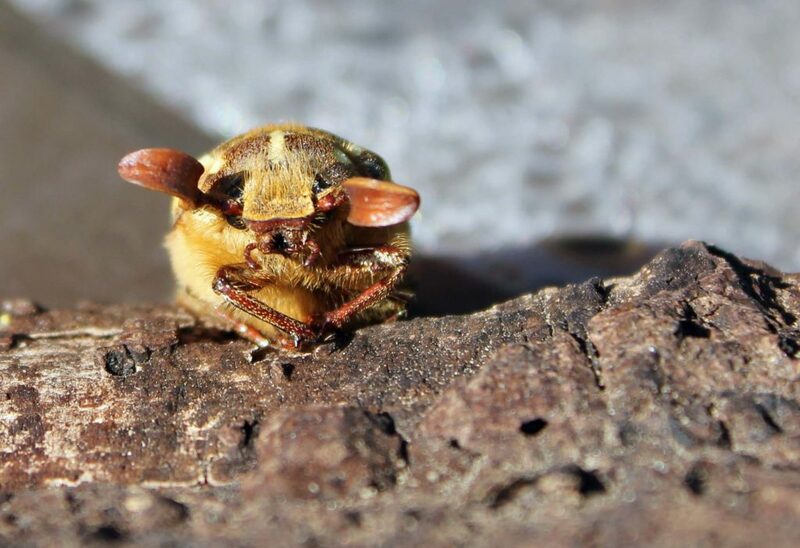 Another of the Ten Lined June Beetle’s most notable characteristics are the relatively enormous, flopping looking antenna sprouting out from their heads. 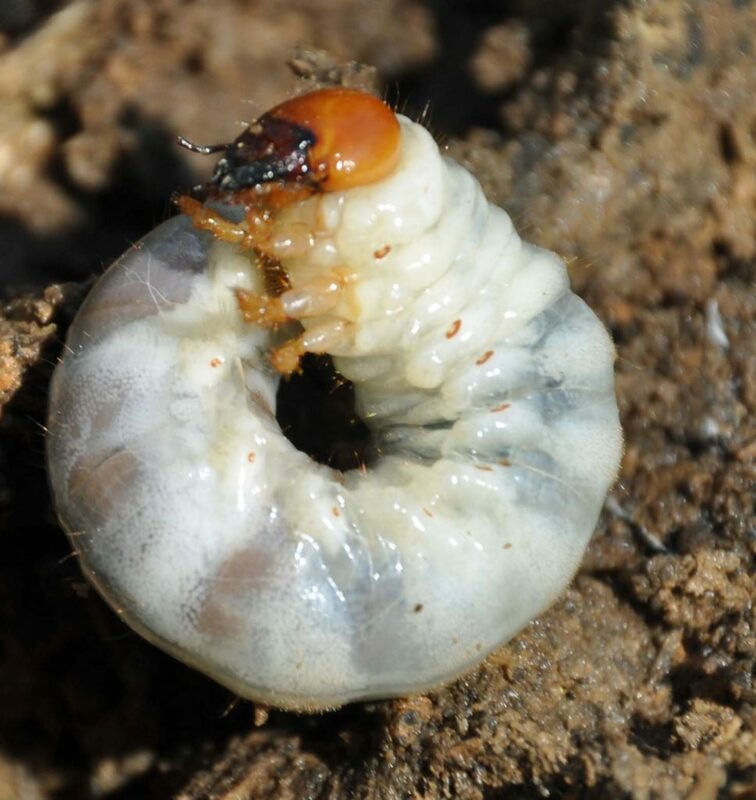 The larvae in the above photo was found in a rotted tree in a forest in Arkansas. June Beetles are one of the most conspicuous insects in our area. These extraordinary animals, true to their nickname, show up in our region and throughout the North America right around June and July, but they are also referred to as May Beetles in some areas – I’ll bet you can guess why (these are a distinctively different color by the way). 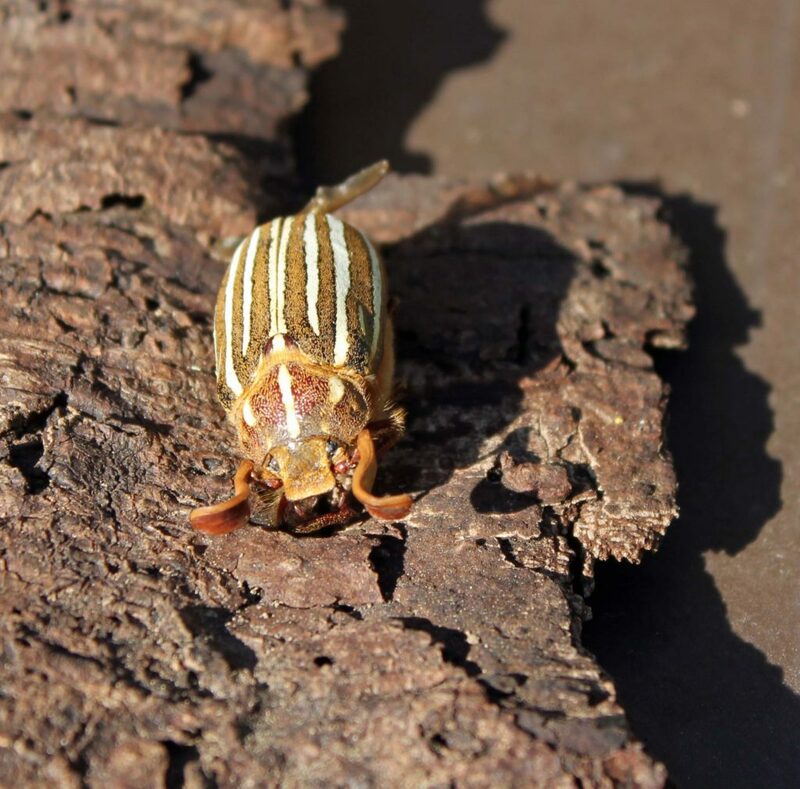 Here in the Northwest we have a species called the Ten-lined June Beetle due to the distinctive number of white lines on its back. According to Arthur Evans Field guide to Insects and Spiders of North America our June Beetle has been observed feeding on pine needles. If that is the case it is a small wonder that these animals pop up in the Northwest.